We carry the Haivision Makito. The Makito™ HD encoder supports up to 1080p60 resolution with extremely low end-to-end latency. The Makito is ideal for multi-channel enterprise IPTV and digital signage deployments, and for mass HD distribution environments such as schools, medical facilities, stadiums, and auditoriums. The MakitoTM HD H.264 encoder and decoder support up to 1080p60 resolution and an incredible end-to-end latency of 70 milliseconds. 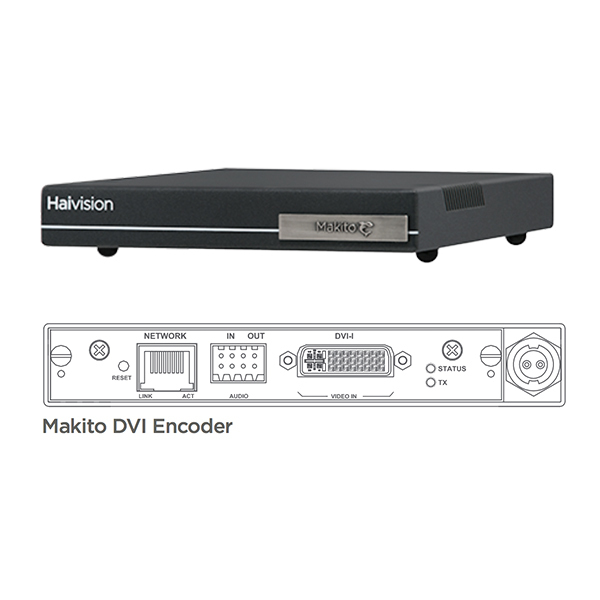 Available with SDI (SDI, HD-SDI, 3G-SDI, Composite, S-Video) or DVI (DVI, XGA, Component), the Makito encoder addresses video over IP H.264 encoding anywhere on a resolution/bandwidth scale from CIF as low as 150 kbps to full HD at 15 Mbps. 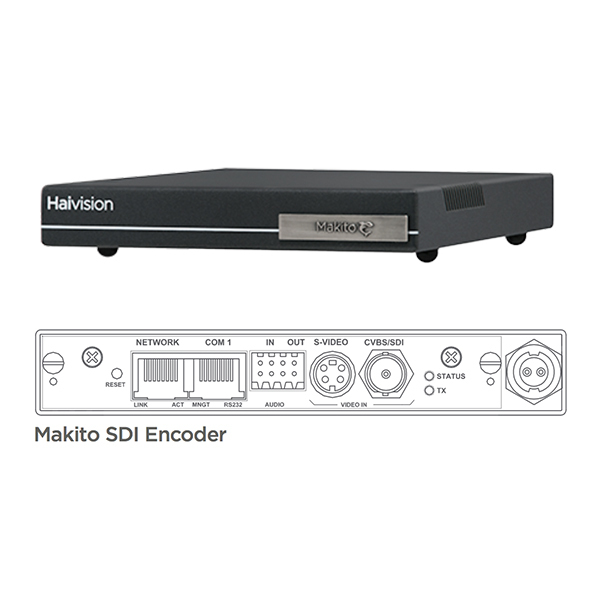 As a perfect mate to the Makito encoder, the Makito decoder supports up to 3G-SDI and HDMI. 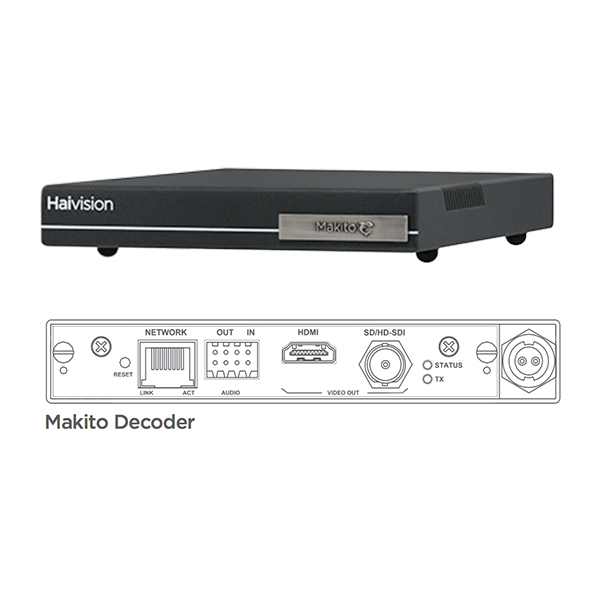 With a low encoding latency and complete audio and video synchronization, the Makito encoder delivers rich media experiences for your daily communication or immediate decision-making needs. As a perfect mate the to the Makito encoder, the Makito decoder supports up to 3G-SDI and HDMI. The Makito encoder can output a variety of stream types – unicast/multicast TS, RTSP, RTMP – and multiple bitrates (MBR) to various destinations concurrently, serving desktops, mobile devices, set-top boxes, signage players, recorders and streaming servers. The Makito enables snapshots, logo application, and Selective Mute™ to provide complete control and identification of sources and destinations directly from the encoder. For remote installations or headends, the Makito encoder offers highly flexible configurations either as an ultra compact appliance or within a 1RU (6 blades) or 4RU (21 blades) chassis.